About the author: The author of this article is a content contributor and is fond of watching movies there by stays updated with all the happenings in the entertainment industry. For most people, watching great movies is the best type of entertainment. Going out to watch movies can be quite expensive. This is because it requires you to spend money on tickets, snacks and sometimes even transport to get to where you intend to watch the movies. This however, does not have to be the case; you can watch movies on YuppTV. YuppTV gives you an opportunity to watch movies online at an affordable rate all day every day. NRIs sometimes have a challenge of finding movies from their home on the different channels in the countries they are living in. This can create a feeling of home sickness. However, with YuppTV you get to enjoy Indian movies and so much more. Below are some of the top movies to watch on YuppTV for NRIs. If you are a fan of thriller and crime related movies, this is one of the movies you will enjoy. Kabali is a crime thriller movie about a gang war between Tony Lee and Kabaleeswaran. It is one of the best movies in 2016. It should be in the must see list if you are a Thalaivaa fan. For those who love drama movies Brahmotsavam is the movie you should look for. This is a movie that will keep you entertained and will definitely give you a different view of family and friendship through perfect storytelling. Love stories have been told differently through different movies. It takes a very good movie to give you a different feel from the other movies that have been there before concerning love. This is exactly what you get from AAa. Kasaba is another amazing thriller movie of 2016. This movie will keep you at the edge of your seat and it will entertain you from beginning to end. If you have not watched it, find it here and have a thrilling time. About the author: The author of this post is a content contributor and is a movie lover. With three back to back superhits in 2016, Bollywood superstar Akshay Kumar has undoubtedly made 2016 a year to be remembered after him. After Airlift and Houseful-3, Akshay delighted his fans with his latest Courtroom drama and romantic thriller Rustom. It not only became one of the highest-grossing movies of the year but was liked by critics and movie buffs alike. Not to forget, the music of this film was among the chartbusters of the year too. The film, which was released on the weekend of Independence Day also won accolades from Indians living abroad. The movie has already completed its run at the box office but in case you wanted to watch the film and missed it, don’t worry as here is good news for you. YuppTV, a favorite over the top content provider on the internet, is going to release Rustom on their official website and application. Though the online release is not for India, the Indian Expats living abroad must be rejoiced by this news as they can now watch Rustom online. Rustom, which is based on the famous Nanavati case of 1959 follows the story of a handsome Naval officer Rustom Pavri (played by Akshay Kumar) who kills his wife’s boyfriend and soon the whole drama behind it unfolds. Rustom, after getting married to Cynthia (played by Ileana D’ Cruz) has to go on a 6-month trip due to work commitment. Rustom’s assignment is finished earlier and when he returns he finds his wife in the arms of a millionaire Vikram Makhija. This infuriates the naval officer, and he kills Vikram. Rustom then surrenders to police and decides to defend his case by pleading innocent. There is more to this instance as the local media takes immense interest in Rustom, thus, making this case an attention seeker for the public. What makes the movie more thrilling is the drama and suspense which unfolds in the process of the jury declaring Rustom Pavri innocent, stating that it was a case of passion instead of murder. As usual, Akshay Kumar has portrayed the character of Naval officer at its best, like no one else can. If you ever miss watching some movie due to your hectic schedule, sit back and relax as you can easily watch your favorite movies online anytime and anywhere. Watching movie online has become a hot trend because of its accessibility and the comfort it provides. So brace yourselves to watch Rustom on YuppTV. Tune in to watch this excellent suspense thriller Rustom in good video quality on YuppTV. About the Author: Caroline is an internet security and entertainment specialist. While at first glance, these things might not appear to go together, they frequently overlap. To see how this plays out, check out her article on SecureThoughts.com about how to watch American Netflix. There’s nothing more bothersome than not being able to watch what you want, when you want. Nearly everyone has encountered a time when they’ve stumbled upon a blocked video here or there or found that they can’t find any good movies playing on TV when they’re ready to kick back and relax to a great film. Thankfully, RajaReviews.com has been kind enough to allow me to share some tips so you too can watch anything, anywhere. Before you begin watching, don’t forget to check out these reviews of some of these must-watch movies. It’s not always easy to be able to find a good selection of movies or TV shows to watch when you’re traveling. But with tablets and smartphones getting larger, the ability to watch videos while on the go is becoming more sought after. Unfortunately for some travelers, their options may be really limited, mobile device or not. Most streaming services use geo-restriction, meaning that you may not be able to access every video they have to offer, especially if you’re traveling outside of the country. With services like Netflix, the selection is often specific to the country you live in, and up until recently, they didn’t even allow anyone to use their services outside of the United States. So how can you watch anything, anywhere, bypassing geo-restrictions when necessary? The key to getting past those geo-restrictions is a Virtual Private Network (VPN). A VPN is a remote server that encrypts your internet connection and hides your IP address (which is used to determine your location). By using a VPN service, you can select from a list of different locations and connect to the server located in that particular area. When online, you will appear as though you’re located where the remote server is, allowing you to unblock geo-restricted content. For example, if you want to watch American Netflix, you’ll simply connect to one of the servers located in the United States before you access Netflix’s site. The same goes for any other website that you might want to unblock. An additional bonus to using a VPN service is that not only will it allow you to watch videos that would typically be blocked, but it’ll also secure your connection while doing so and allow you to protect your privacy while using the internet. There are several streaming services available that can be accessed on your mobile devices so chances are you’ll be able to find what you’re looking for on one of them. You can also use some of them on your game consoles or smart TV. Netflix is arguably one of the best services for streaming movies, and for a low price, it’s worth subscribing to. You’re able to watch in high definition with closed captions (if you prefer), and it’s entirely commercial free. They also have a wide selection of movies, categorizing them into genres and subgenres so you can easily find a move that you’re in the mood for. Netflix also has some TV series on hand, though it’s unlikely you’ll find the most recent episodes (Hulu is a better option for that). Like most streaming services though, the content varies, and it changes regularly. There are other options than Netflix for streaming too, many of which are also affordable and worthwhile. Like Netflix, Hulu can be used on a variety of different devices. Their price is similar, but unlike Netflix, they haven’t decided to provide services to any countries other than the United States and Japan. You’ll still need a VPN for Hulu if you live outside of their service areas, but the library of movies they offer to their subscribers is rather impressive considering that they didn’t have many to offer in the past. Hulu is especially useful for those who would like to keep up with TV shows though, as they have episodes of some series available the day after they premiere on cable TV. YouTube has a variety of movies you can watch from your mobile device, and their app makes it easy to find what you’re looking for. You can also access YouTube on game consoles and smart TVs, making it a good option for streaming. Movies are available; though many of them will require you pay to view them. On a lucky occasion, you might be able to find a couple of movies to stream for free on YouTube, though they generally try to remove those. Overall, it’s still worth searching through, and it offers some original content that’s sure to entertain you when you don’t quite have enough time to watch an entire movie. There’s also Flixpack, a relatively new service that allows you read and share reviews about films and discover things you might not otherwise watch. It’s a great place to find links to stream free stuff on YouTube or Vimeo (complete with the reviews, of course). Their content encompasses mostly Indian and English movies and had more selections than you can imagine, so check it out. There are, of course, many other streaming services available too, some of which you might already have access to! If you subscribe to cable TV, your service provider might offer online streaming from their website or an app on your mobile device. Though Netflix, Hulu and YouTube are some of the most popular around the globe (despite their restrictions), why not access as much of a variety as possible? Hulu will, of course, be a great place to stream American films and TV shows, but if you’re looking for other movies, this list of streaming services is likely to be helpful. Watching anything, anywhere can be somewhat of a challenge at times, but with a little searching, you’re certain to find what you’re looking for. Best of all, you will be able to access the whole internet if you use a VPN service (so you won’t have to stick to censored material or limit your viewing options). With a smartphone or tablet on hand and the right tools, you’ll be on your way to watching anything, anywhere in no time! Do you have a favorite streaming service that you use to watch movies on the go? Let us know about it in the comments section. When the trailer of Sarbjit was released, people were really excited to know about the life of an unfortunate Punjabi who drunkenly ambled across his field to cross the Indo-Pak border which lead into his dreadful journey of torture and death. While the audience expected to see his ‘Jai Jai Shiv Shankar’ song transform into blood cuddling cries and whines, the movie showcased his sister’s character more often. Even the poster had Aishwarya Rai Bachchan in the lead and the expected main lead, Randeep Hooda, was shown in her shadows. Sarbjit was ruthlessly beaten and tortured after being caught by the Pakistani police force who suspected him of being an Indian terrorist named Ranjit. He was drowned in water, left in a room full of rats who scrawled all over him, locked in a box and many more unspeakable acts of torture were done to him. While he was suffering in the prison, his sister Dalbir (Aishwarya) and wife Sukh (Richa Chaddha) struggled to get him back to India. Both of their efforts went in vain when officials of both countries did not pay much heed to their demands. The result being, an innocent Indian subjected to numerous mental and physical tortures and finally a merciless death. Randeep’s performance is the sole thing that might make the movie ‘paisa vasool’. But less spotlight on him and more on Aish has lead into poor collections of the movie. The acting of the all the three leads is appreciable. The sorrow and pain in Sarbjit’s character was beautifully portrayed by Randeep and Aish and Sukh successfully managed to illustrate the pain of hopeful loved ones wishing to see their beloved brother and husband beautifully. The makeup and costumes were also up to the mark. The songs of the movie were soothing and appropriate for the storyline. Overall it is a good watch. The year 2015 was empowering for Indian silver screen. Despite the fact that the lamentable “money over-content” came first, groups of onlookers were dealt with to a couple remarkable motion pictures. The greater part of them figured out how to rake in millions, alongside basic recognition. 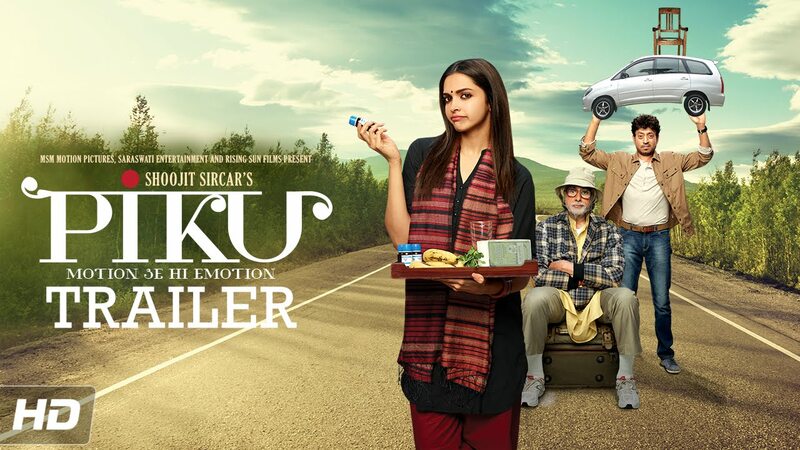 In the event that there is one film which in today’s day and age is really reminiscent of yesteryear’s late Hrishikesh Mukherjee brand of silver screen, it must be Piku. This little, unassuming film figured out how to strike the right harmonies and stunned groups of onlookers and pundits alike. Bengali generalizations are both made utilization of and in addition subverted, yet it is the tender treatment and the cast’s irresistible eagerness that wins over even the most negative of viewers. You can watch the best movies and get great discount using PVR coupons. Discuss conveying technique to frenzy to deliver fabulousness. Bollywood star Salman Khan is one of those Indian stars who simply should be in the film for it to make millions. Subsequently, things like story, screenplay, and rationale and so on get to be optional. In any case, chief Kabir Khan stepped by throwing the most loved of the masses in a part which is exceptionally not at all like his on-screen persona. Effectively consolidating content with business, Bajrangi Bhaijaan ended up being one of the greatest hits of 2015 furthermore of Salman Khan’s vocation. You can use bookmyshow offer for getting great discounts. 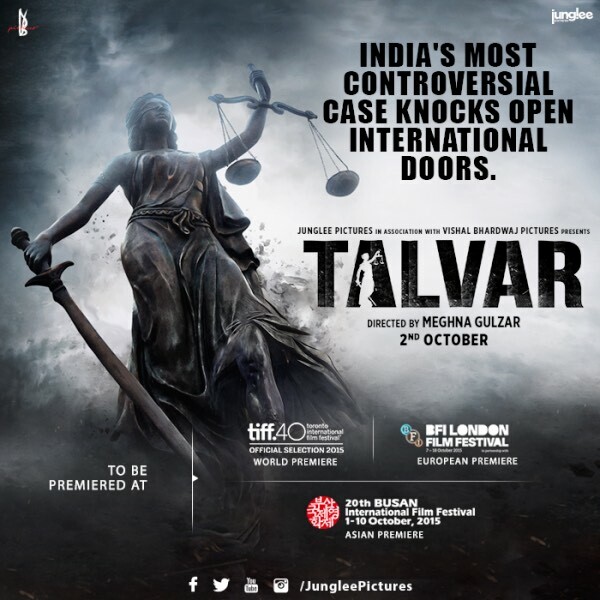 The current year’s sleeper hit, Talvar was a film nobody saw coming. Very little was normal from this calm undertaking which most thought to be a workmanship house motion picture of sorts. The film did not open to pressed theaters (absence of exposure, advancements and a major star cast) yet got over verbal. Coordinated by MeghnaGulzar, the film, in light of genuine occasions around a disputable Indian murder case – 2008 Noida twofold murder case – ended up being a fresh, chilling and drawing in watch which, throughout the following couple of weeks of its discharge, got the thankfulness and honors it merited. [A showstopper scene in the film: The over the-table examination between the two distinctive investigative groups, towards the end of the film. No big surprise, then, that a request to revive the case and free the folks spread like fierce blaze not long after its discharge. Be that as it may, regardless of the lopsidedness, Talvar is a fine class film that works surprisingly better on the off chance that you consider it unadulterated fiction. A standout amongst the most shocking period dramatizations to have left Bollywood ever – BajiraoMastani is film taking care of business. It’s one of those motion pictures where all the distinctive components of filmmaking – story, music, sets, cinematography, ensembles, course and exhibitions – meet up splendidly to make something essential on screen. An extraordinary notice for Ranveer Singh’s brain inspiring and kickass depiction of the Maratha warrior Bajirao. Keep them coming! 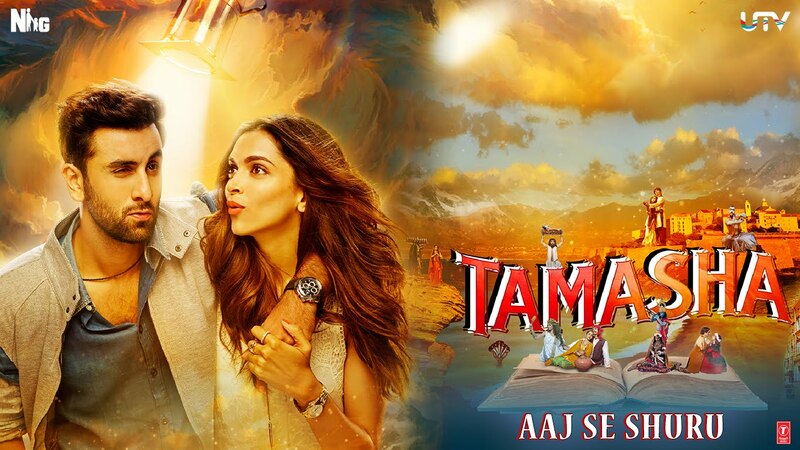 A great many people may feel in an unexpected way, however Tamasha, regardless of its defects, unquestionably merits a spot in this rundown – for the most part due to the intricate way of its subject and the way it has been taken care of by pro chief Imtiaz Ali. Ranbir Kapoor quieted faultfinders with a force pressed execution and greatly required hit. In any case, DeepikaPadukone was the genuine champ here as she figured out how to play a part not that substantial and transform it into one of her most charming characters ever.